Doodlebug Design Inc Blog: Still Hopping....one more day! 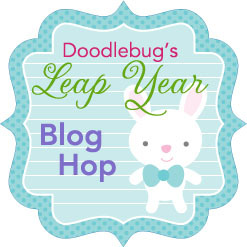 Did you miss our first Blog Hop in honor of Leap Year yesterday? You still have time to hop around to our awesome Design Team blogs and enter to win the new Hello Spring Collection.